This is the St.Aidan’s N.S. Crest. The purpose and meaning of each element is outlined below. 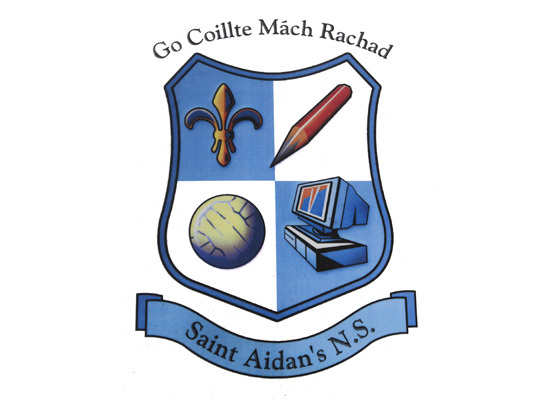 The words “Go Coillte Mach Rachad” on the upper part of our crest are words taken from a poem by Raftery in praise of Kiltimagh.  The “fleur de Louis” was part of the crest of the Saint Louis’ sisters who taught girls in Kiltimagh for over 100 years. In the school we continue to value the Catholic faith by which they lived. We have many laptops and computers in our school. We bring these laptops from class to class when we need them. 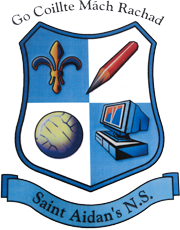 At St. Aidan’s we use computers for our projects and we have lots of programmes to help us in all the different subjects on the Curriculum. The ball is a symbol of the fun we have when we play together. We play lots of games at P.E. and in the playground. We take part in lots of local sport competitions! The pencil is a symbol of all we write and draw. We write interesting stories and we make-and-do beautiful Art.